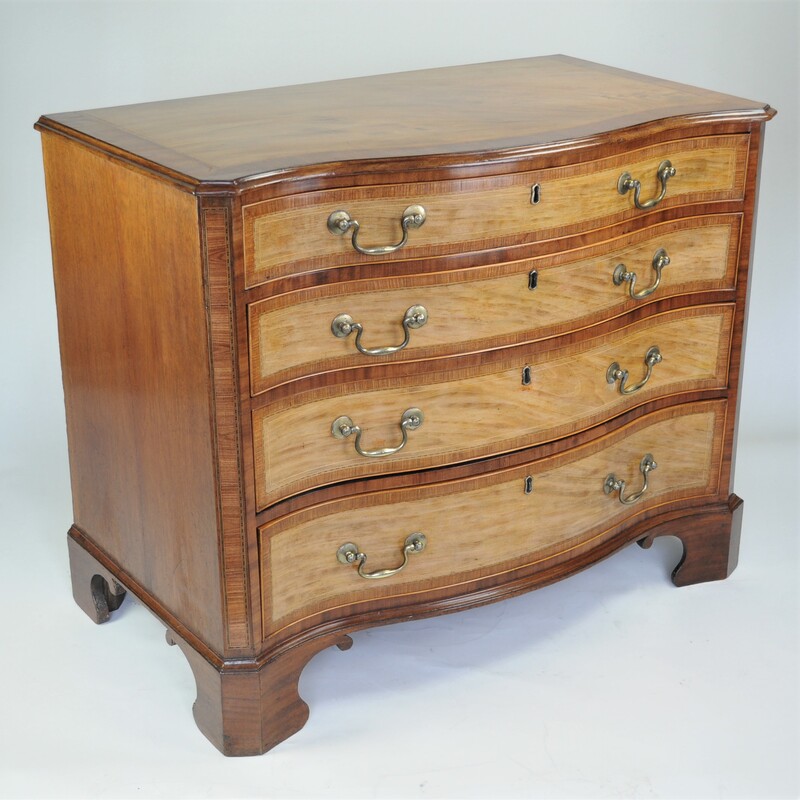 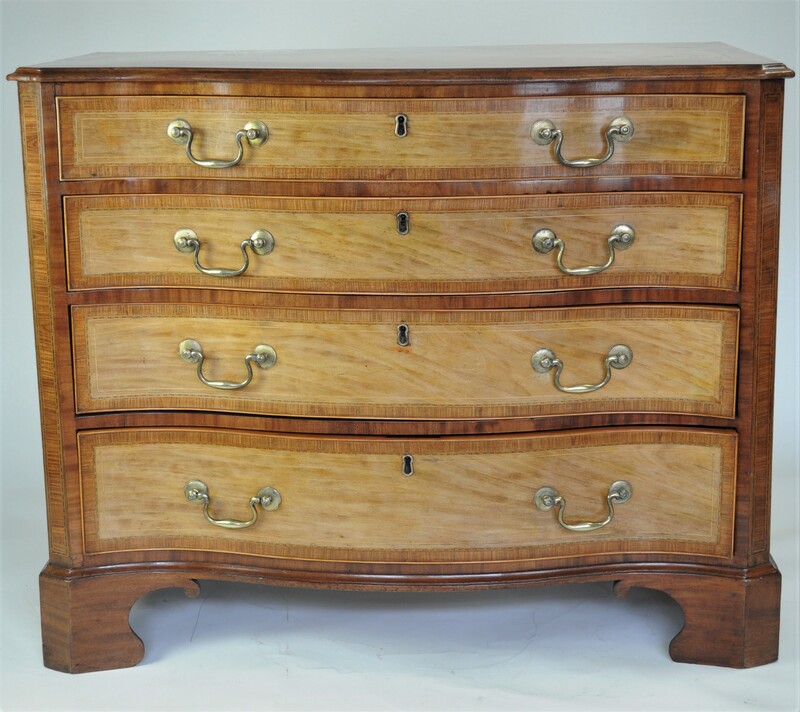 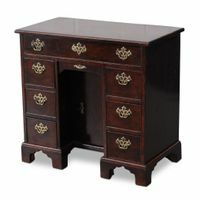 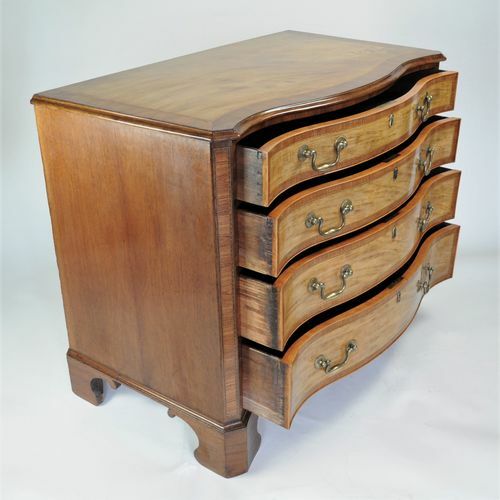 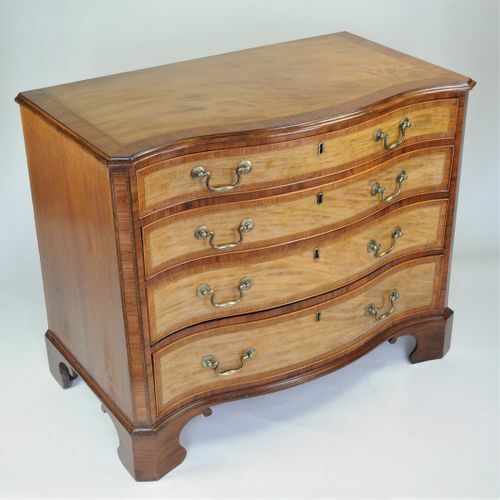 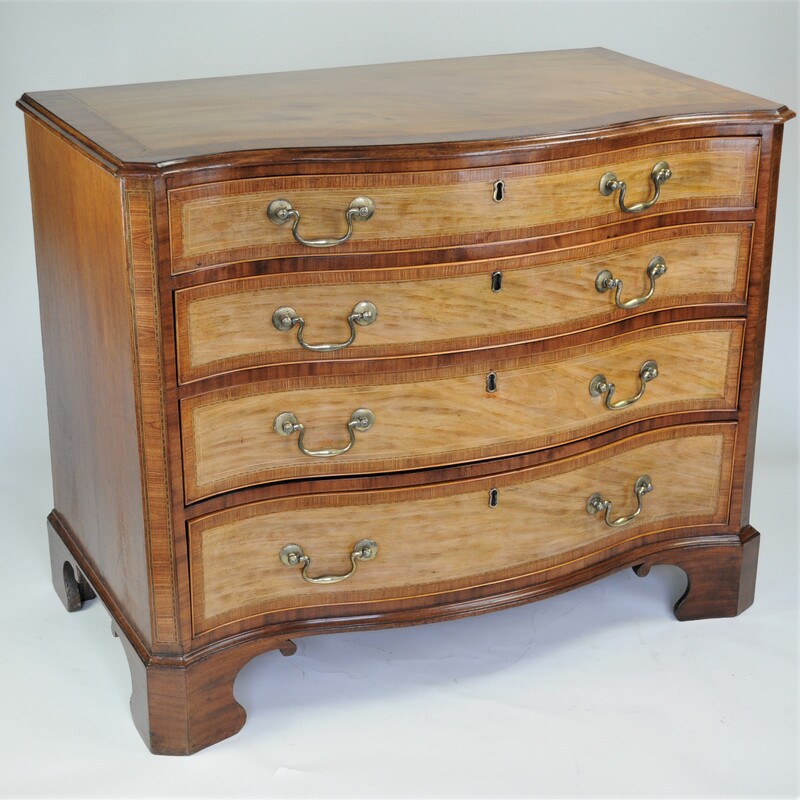 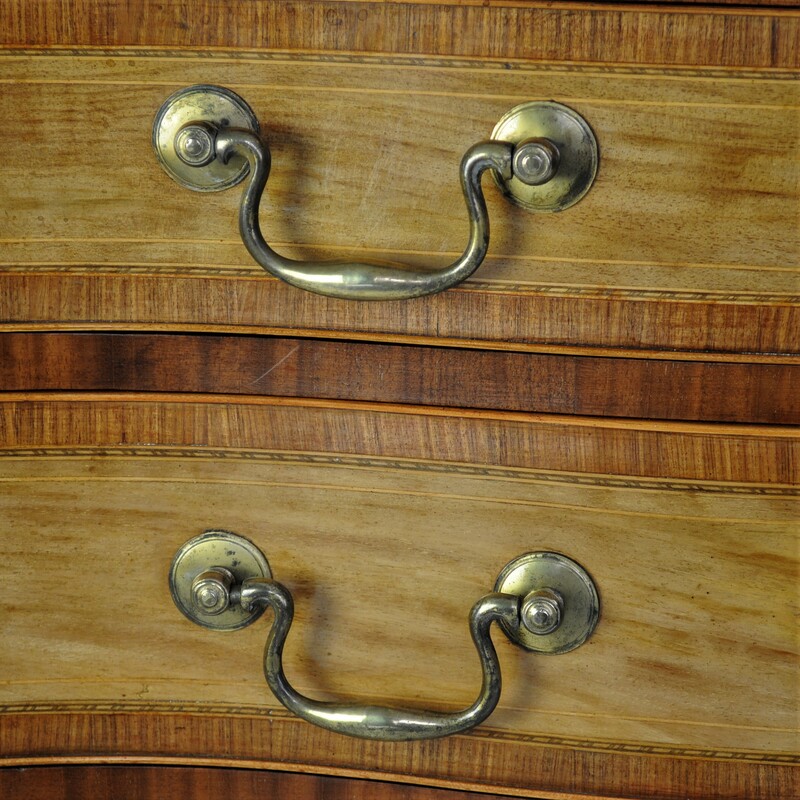 "Hepplewhite period satinwood serpentine Chest of Drawers"
An outstanding figured satinwood, tulipwood inlaid and mahogany, serpentine chest of four long drawers. 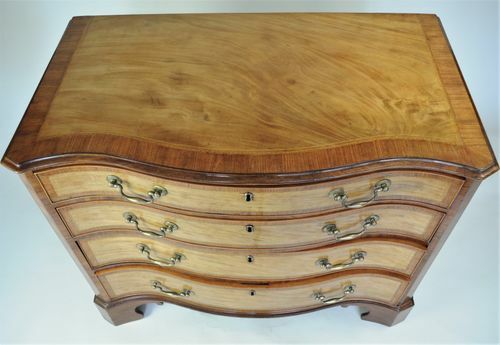 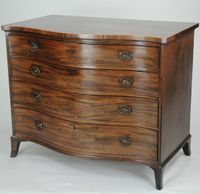 The top with line and chequered line inlay, and wide banding of tulipwood, above the four long drawers with matching decoration, flanked by canted corner, inlaid with further tulipwood within chequered line borders. 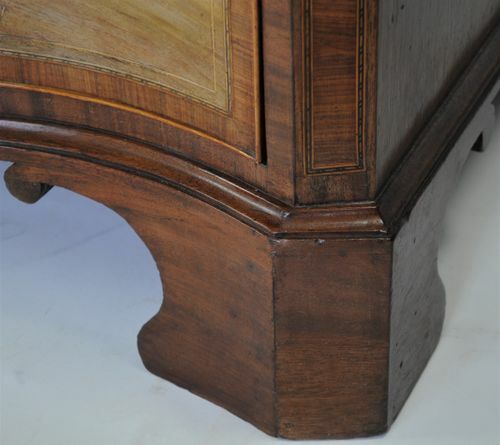 Mahogany sides and shaped bracket feet.